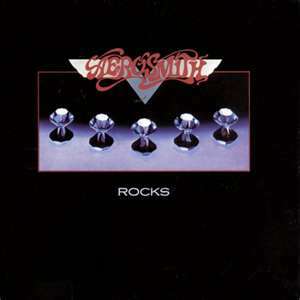 As the blog heads towards 1978, the year the rivers of rock began to overflow their banks and form what was to become heavy metal, it is only fitting that I visit one of the albums that sped those waters along the way. 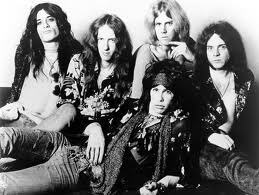 “Draw the Line” by Aerosmith was one of the truly last great rock albums before the river overflowed. The only reason it wasn’t the last album for me was that pending its release in December 1977, every record store in America seemed to be advertising it for the Christmas sales. 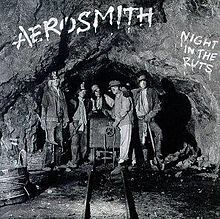 Every store I went into that year had a large display depicting the album cover in order to entice parents to buy the album for their rock loving children. If I had a time machine, I would go back and tell mine to buy it for me, although I don’t regret in the least getting the “Desire” album by Bob Dylan nor the “Spitfire” album from Jefferson Starship that Christmas. 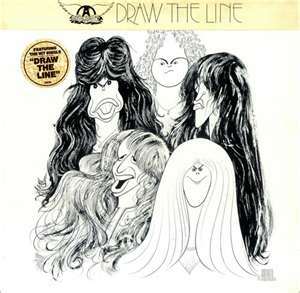 While “Rocks” is said to be Aerosmith’s last album before the descent into their drugs hell, “Draw the Line” was the first album during that descent. 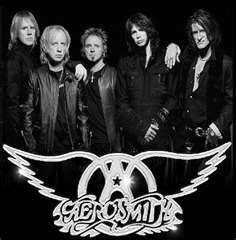 Joe Perry practically admitted in an interview years later that the album was done so the band could pay their drug dealers. Nevertheless, it does not stop this album from being a great one and to me, only shows how talented these guys really are. 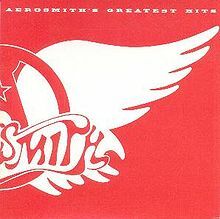 It matters not if Aerosmith were under the influence of drugs when the album was made, it is still a fantastic album. Kerrang listed it number 37 in the top 100 metal albums of all times and I can certainly understand why. I just wonder, if this album was made while the band was high on drugs and it is still this good, how good it would have been if they hadn’t been on drugs.